I took my telescope, camcorder, and camera to the Pima County Medical Society, where I hosted about 100 people, maybe 30 or 40 at one time. The first part was hectic, because ingress is what I really wanted to see, and that required getting the video camera set up and running on its own. 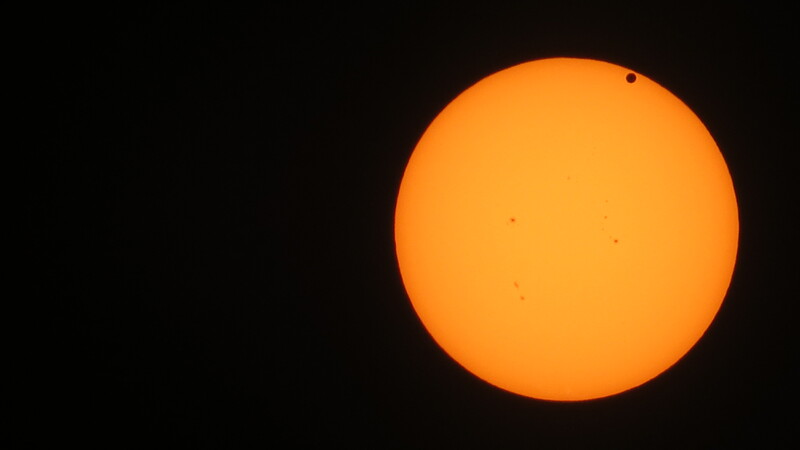 I filtered the lens with a solar filter from a pair of eclipse glasses. That worked reasonably well. 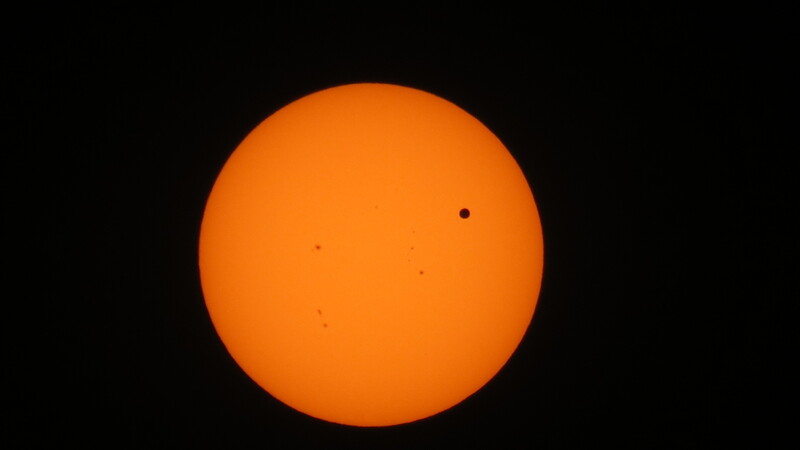 Then I had to use a solar filter over my camera and increase the optical to 35x. I did a little push with the digital, and the camera focused on the Sun, not the Mylar, which happens if the Mylar is not taught. In the meantime, I wanted to see ingress under high power in the telescope. 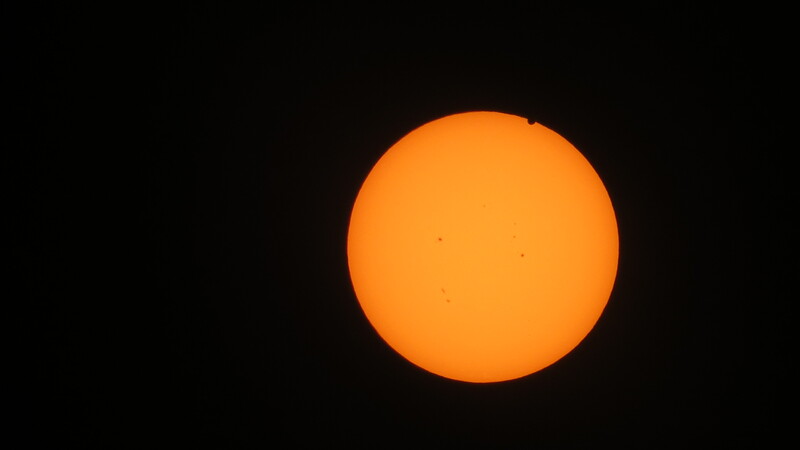 While all of this was going on, I was trying to answer questions, deal with people, make sure nobody looked at the Sun unfiltered, and showed them how to look at the Sun with binoculars filtered, since it is a new experience to see nothing through binoculars unless they are pointed at the Sun. What was special was that many office workers stopped by, which is exactly what I hoped would happen. A baby, probably about 9 months old, had his head put to the eyepiece. I loved that. His children will never see a transit, and his grandchildren will, only if they live to a very old age!! This isn’t as spectacular as a total solar eclipse, but the rarity, and the chance to be alive when one of these occurred made it a very special experience. I have about eight minutes of the ingress video, with comments of all sorts in the background. 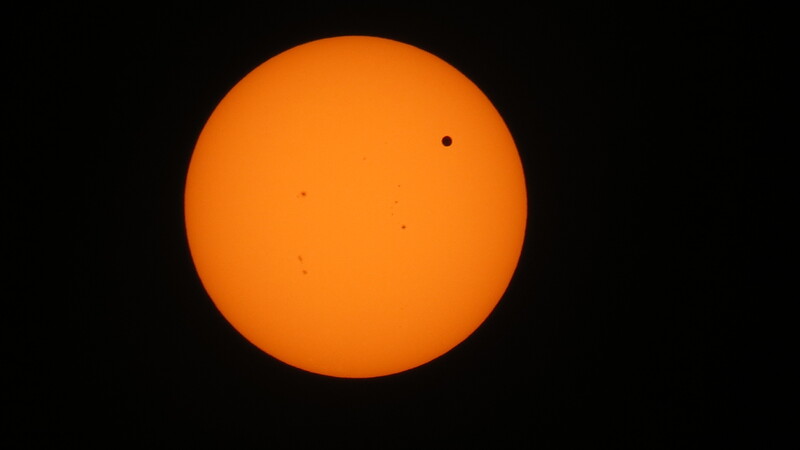 I end the video with Venus in mid-transit. This is also on CNN iReports (the picture, anyway). This entry was posted on June 6, 2012 at 10:03 and is filed under ECLIPSE CHASING, MY WRITING, UNPUBLISHED OUTDOOR WRITING. You can follow any responses to this entry through the RSS 2.0 feed. You can leave a response, or trackback from your own site.